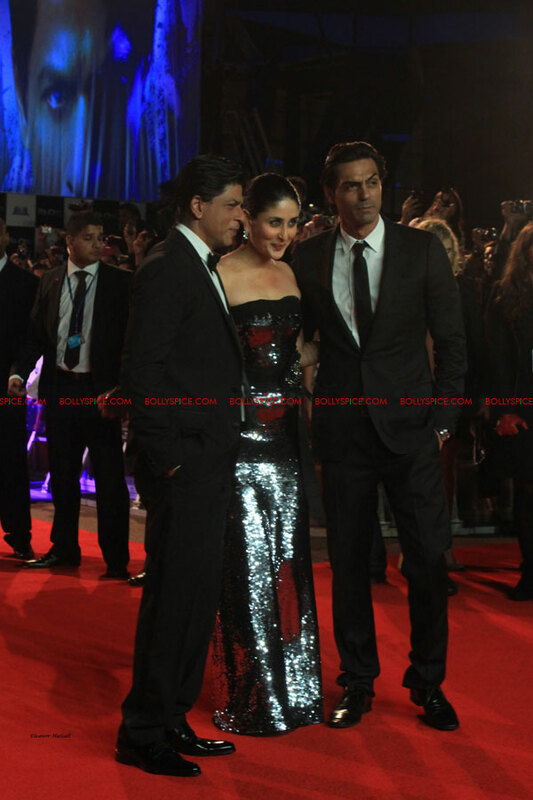 As we reported earlier, Bollywood royalties Shah Rukh Khan, Kareena Kapoor and Arjun Rampal arrived in London with Anubhav Sinha, the director of Sci-Fi flick Ra.One for the epic 3D World Premiere, which was held at The O2, London earlier this week. Read what they told us on the red carpet in this exclusive report here. Guess what though we have even more to exclusive news and photos to report about the event! Along with the gorgeous trio of stars Shah Rukh Khan, Arjun Rampal and Kareena Kapoor, Shahana Goswami (Rock On! !, Break Ke Baad) and Armaan Verma, who play substantial roles in the film were also signing autographs and posing for pictures. Gauri Khan, the producer, who was celebrating her 20th wedding anniversary also walked down the red carpet looking gorgeous accompanied by her husband, Shah Rukh Khan. Crew members who have been working for years on the project like art director Sabu Cyril, dialogue writer Kannika Dhillon, sound mixer Resol Pookutty, and Tanaaz Bhatia from Bottomline Media were also present. 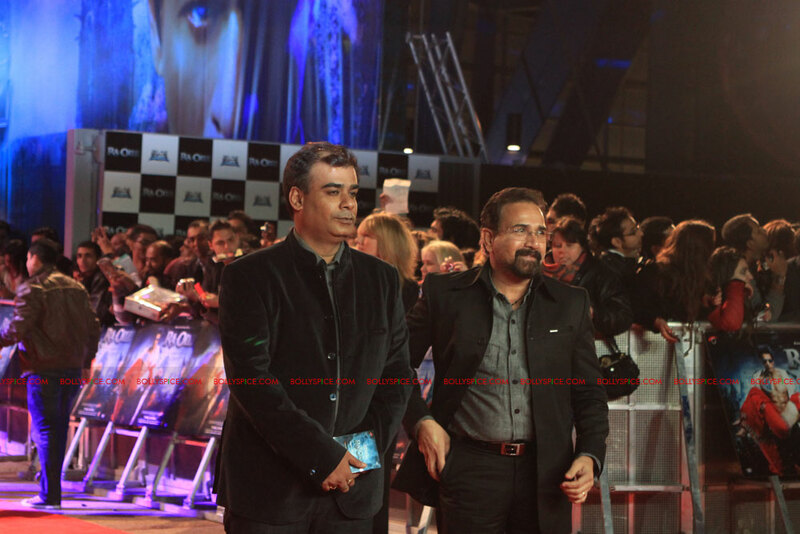 The high-profile event was also attended by a number of Brit-Asian artists. The premiere, which was held at the Cineworld cinema, premiered the film on all of its eleven screens, five in 3D and the rest in 2D. A source from Eros International told us that eight screens were completely packed and one was reserved for press only. Fans travelled from all over the UK and Europe to catch a glimpse of their favourite stars. There were a large number of fans who had travelled from France and Germany, especially for the Premiere and to meet the King Khan. Many fans were also disappointed that tickets were not on sale for the premiere. The actors went into almost each screening room and introduced the film to the audience. Special VIP’s, cast and crew members later on watched the film in 3D on the Sky Superscreen, said to be the biggest digital 3D screen in Europe. An exclusive after-party was held at Alphabet City at The O2 which was attended by selected VIP’s and of course, the cast and crew members. 16 queries in 0.738 seconds.